Alex Tchassov: last time in your life. Alex Tchassov: Ok. What is problem? There's not many documentaries where you can barely keep a dry eye throughout, but this is one of them. 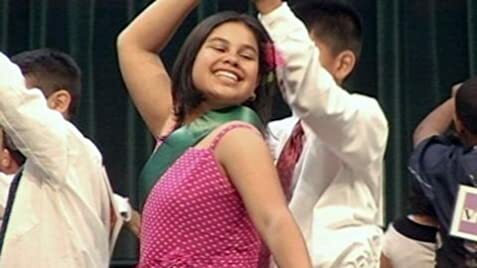 A New York dance project for kids gives them a ten week course in ballroom dancing. We follow especially children (ten-year olds) in Washington Heights, disadvantaged kids that would mostly grow up to be on the street, unsuccessful or criminals. What is uplifting and so beautiful to watch is not so much what they learn about dancing (though some of them become almost awesome), but what they learn about themselves and each other. "I see them turning into ladies and gentlemen" remarks one of the teachers. 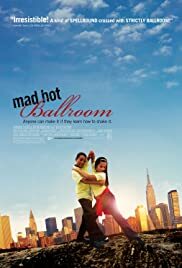 As someone with a passion for dance, I would enjoy it anyway, but the box office success of this film proves that it moves non-dancers and dancers alike. Watching the kids prepare and enter the competition, we see the euphoria of winning and the pain of losing, and coping with it. We see them develop a positive and objective self-image of themselves, and develop a dialogue with their classmates that was absent at the beginning. Teachers show how their behaviour records in some cases have been turned around as they are able to achieve a higher opinion of themselves and see qualities in each other that they didn't see before. Swayze used to say that dance is a communication, one that existed before language. My own experience mirrors that, and so does the interaction of the children in this film. Go and watch it - better still go and watch it with your kids if you have some.